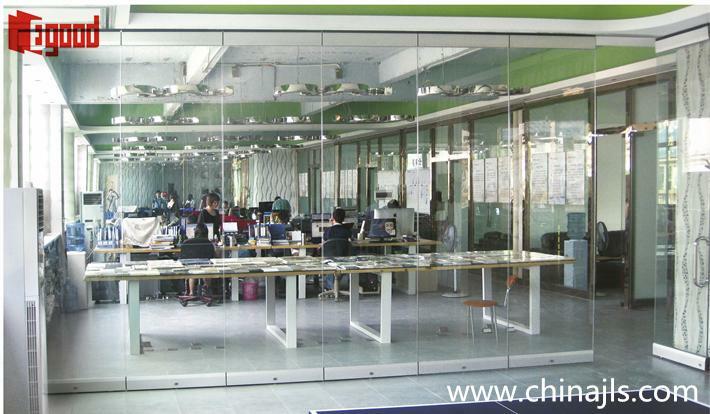 Egood frameless operable glass partition consisits of glass panels mechanically fastened to horizontal top and bottom rails(aluminm clamps).The glass has polished edges and no vertical trim-although vertical trim is an available option.Panels can be ordered as individuals panels.Individual(or Omni-directional)panels can be used in alternate locations or stacked in a remote location.Pivot opening door allow access between rooms.The standard horiontal rails are of clear anodized aluminum color but can be custom finished. The panel movable on a ceiling track with no requirement of floor guides or rails,the floor bolt is used for any panel for stabiliy. 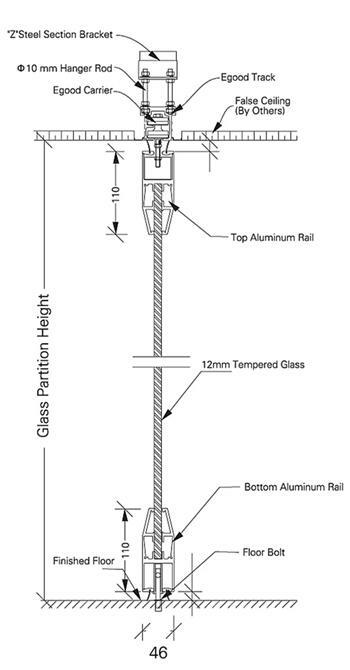 NOte:there will be a gap of 6-12mm between the glass panels when they arein place to prevent glass-to glass contact.The gap varies due to glass industry tolerances.